Current Equity president Malcolm Sinclair has ruled out running again in the forthcoming elections, bringing an end to his eight-year run in the post. Sinclair was first elected to the post in 2010 , when he stood against Graham Hamilton and Dave Eager. He was elected for a fourth two-year term in 2016 , when he beat Jean Rogers and Eager. Sinclair told The Stage that he would not be standing for a fifth term in the next election later this year. 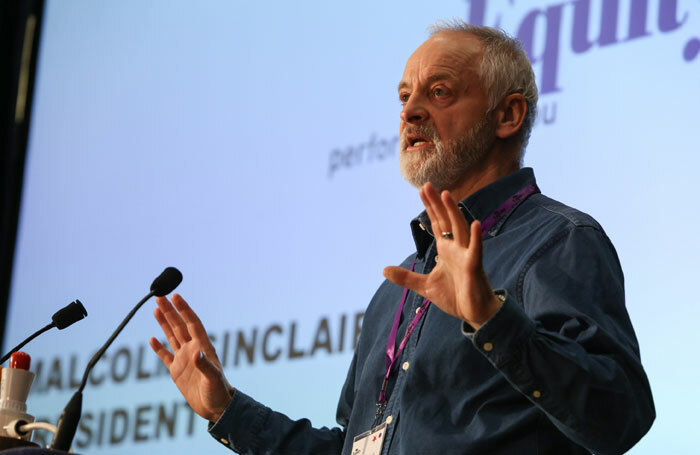 He added that Equity membership had grown in each year of his presidency and that the union’s “commitment to diversity has been enshrined in new staff posts looking after equalities and harassment”. Actor Maureen Beattie is the first member to declare she will run for president, and Sinclair said she would be “outstanding”. “I’m looking forward to see if any other members put themselves forward. So I’m not endorsing anyone until we know who is running,” he said. Nominations for the election open on March 7 and close in April. The election ballots will begin on June 6 and close on July 4.